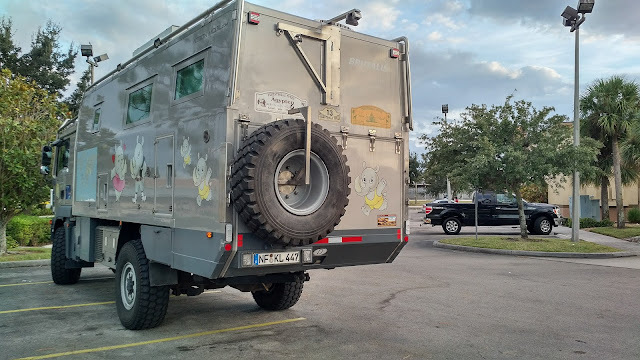 This past week, I spotted a very unusual looking vehicle at what is probably the only Taco Bell in Naples. 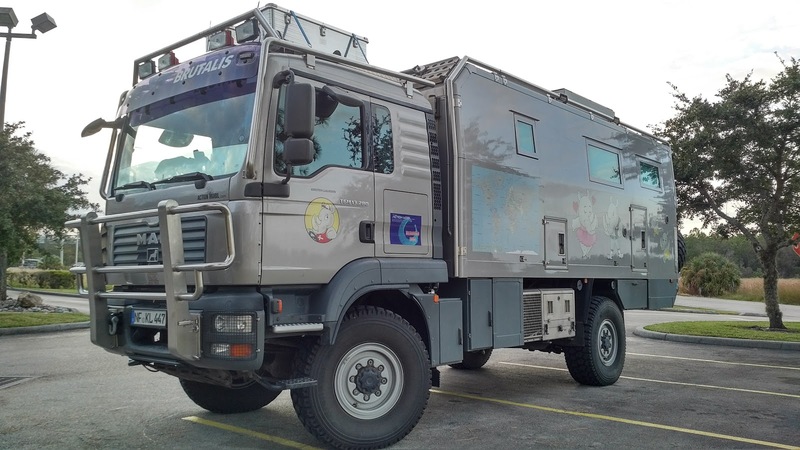 The Brutalis as it is called, not only looks like a military vehicle, it has design elements that suggest it was brought here from overseas. 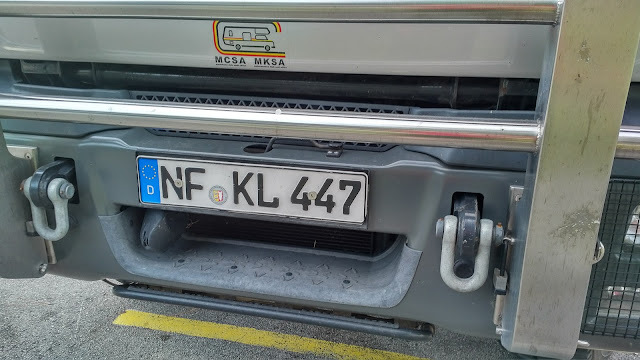 Upon closer examination, it appears as though the truck started its journey in Denmark! This leaves a few questions unanswered, since the truck does not appear to be amphibious. 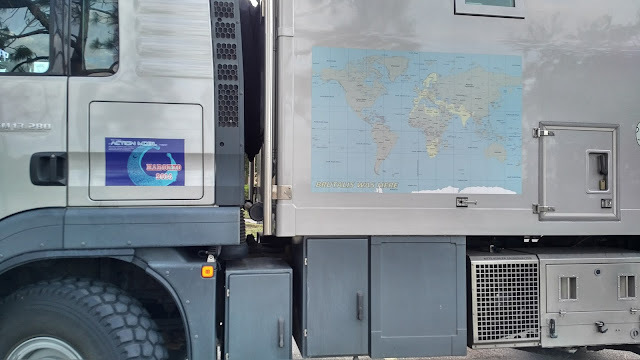 A world map on the side of the truck highlights where the truck has been so far. A map of where the vehicle has been. I assume this reflects this one vehicle. 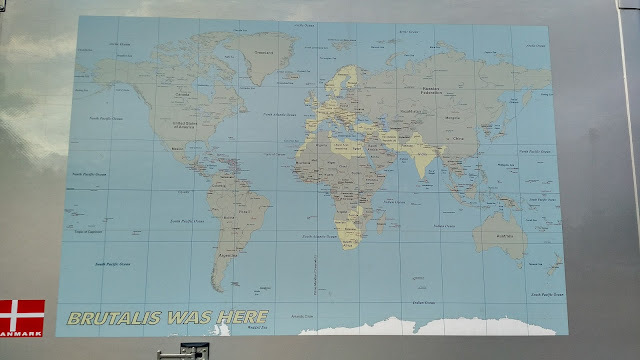 Other than travel related stickers and design decals, I could not find any information or website outlining the goal or objective of this excursion. 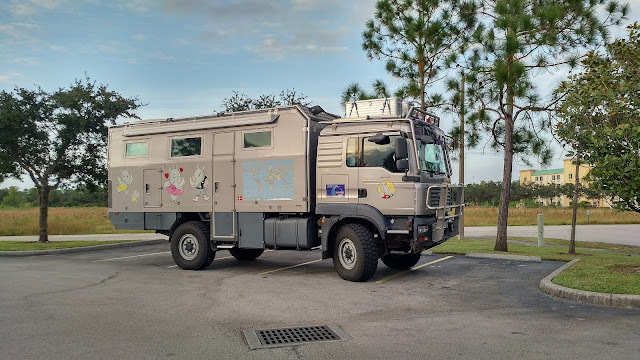 I will continue to look for information related to this vehicle's travels, as I have never seen a worldwide road trip attempted before. This would certainly be the vehicle to take on such a drive. Saw this same vehicle today, August 31st in Jackson, Michigan. Googled to see what it was also as was very interesting and noticed right away the what seems to be plates not from the US. Just saw it in Frederick, Maryland last night.